If you are feeling pain, lack power, or have physical limitations holding you back, I can be of assistance. Through the use of the Functional Movement Screen (FMS) and the Titleist Performance Institute Golf Screen (TPI), we can discover where your energy leaks and physical restrictions lie. Following screening and assessment, you will be given a tailored program mirrored to your individual needs. Through exercise progression, massage and myo-fascial release techniques; clients experience restored function, a reduction in injuries and enhanced sporting performance. My name is Russell Jones and I have been a level 3 personal trainer and Sports massage therapist since 2005. 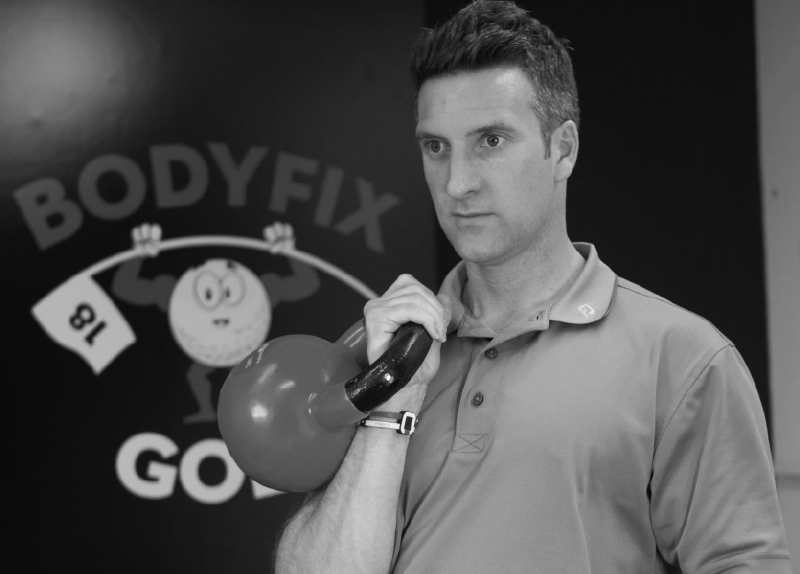 I am also a TPI level 2 golf fitness professional and Junior coach. After a youth spent playing many sports, Golf became my chosen path. I was fortunate enough to go to college in N.C. USA at Pfeiffer. After coming home I tried my luck on the euro-pro tour briefly before deciding my future lay helping others improve their physical preparation for Golf. My passion for helping clients improve is matched by my desire to continue learning. From junior development, to Elite players and tour pro’s, on to senior club golfers of all levels, there is always room for improvements. Book in today to start your better tomorrow. Move better to play better!